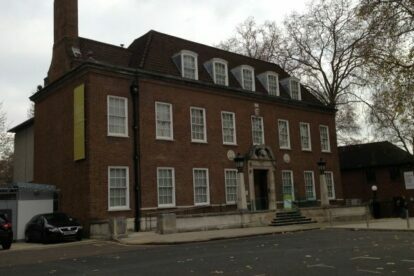 Visiting a museum dedicated to orphans may not seem like the most uplifting experience, but the Foundling Museum near Brunswick Square will lift your spirits and confidence in humanity. A sad fact in London’s history is that with the city’s rapid expansion, portions of the population were unable to reap the rewards and were left behind. Many mothers who were down on their luck were forced to give up their children. The ground floor of the Foundling Museum covers this unfortunate side of London’s history by sharing its collection of tokens that mothers left with their babies, in case they were able to come back to collect them. However, there are many inspirational stories to balance this sombre mood. To combat this social challenge, a group of philanthropists, artists and musicians all pooled their talents to raise money and provide a safe environment for these orphans through the Foundling Hospital. The upper floors highlights donated works of art and Handel’s music scores. While the levels of abject poverty may have subsided since Thomas Coram and Handel’s time, the Coram charity is still active in helping children today. A visit to the Foundling Museum gives you a chance to enjoy historic art and music while learning of ways to help children today.